Discussion in 'Off Topic' started by Rochelle_, Oct 4, 2018. How would your current character and one of your past characters interact? Dune would be hesitant around Jae, as the Chi seems to be just a little bit too open for his liking. His demeanour would make him very uncomfortable, as would his blatant display of magic that he doesn't even try to hide. The confidence in his ability would also make Dune very weary, as Jae jumps around from group to group very often and proves himself to not be loyal to a single cause. Jae, on the other hand, would find Dune very boring. His answers to prodding questions too predictable, his inability to jump into situations frustrating. He knows the existling could do more, though he chooses not to for some unknown reason. This would frustrate the chi, and cause him to give up on Dune very quickly. I feel they wouldn't really get along much at all. I believe if my current character, Anna Caladwen, met with my very first - Ella, she'd roast the poor woman into very crispy snowflake. Ella was my og, an Isldar before I even knew any of the lore. She was very sweet, however she had her flaws, just like Anna has. The two, knowing their very stuck up attitudes would end up in a bit of debates, fights, and probably eventually liking each other. That or they'll both end up bloodied or bruised. Edgy? I think so. HMMMM. My first massive character was Damon Sictor, an edgy vampire assassin who eventually became a less edgy vampire businessman (Still edgy though). Though I don't really play him anymore, my other character Geoffrey Broussard is a vampire hunter. Damon, or at least how I would play him now, is intelligent enough and wouldn't be super obvious as a vampire so the two would likely remain civil, maybe they'd develop a friendly relationship BUT eventually Geoffrey would figure Damon out and Geoffrey would try to kill him. I think Geoffrey would win and kill le vampire. good times had by most. to go way, way back, arl'd almost immediately be killed (which is why he's STAYING DEAD NOW) by either volker or leufred. or both of them. they'd have their reasons. had at one point nearly been handed over to my noble character Enzo Celyreos by their family patriarch as apart of a marriage that was to build an alliance between the two families at the time; She having been forced to do this. Anyhow, this never happened due to OOC reasons, and eventually she ended up with Lazarus in the end-- It was an odd situation having played my own antagonist and underdog at the same time, and it was just strange overall because I'm fond of both of them. Due to all this, I'm going to have to say that Lazarus would most certainly not enjoy the company of poor Enzo at all and would at the very least have a few quippy comments for the man, having actually stated his disapproval of him to his family members in the past. Enzo in the circumstance would most likely come off as apologetic and wish to mend things between the two, not exactly having been romantically interested in the Heinrich to begin with-- Nor being too politically minded at all. They'd all get along whilst lowkey plotting doom on one another since most of my characters share the 'opportunistic scumbag' trait afaik. Vhilomir Kade would lead the pack of a Qadir Vampire, Songaskian Mercenary, that one Slizzar Mind Mage and a very dated Vespid Murder Machine. Obligatory 'All of Bio's Characters are the same' meme. Azra would absolutely hate Noelle Hath due to the fact that she'd Noelle as a harloting racist. Because she was, basically, that. It'd probably just end with Noelle dying again, though this time from a thrown blade rather than one at close distance. 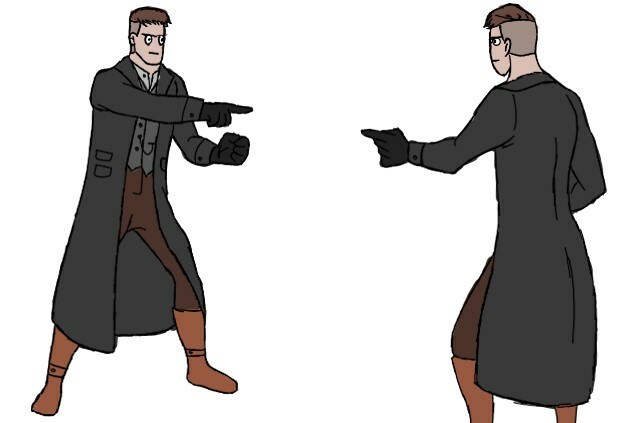 On the otherhand, two of my character, logically, encounter every day due to one of them being a von Rahm and the other being a maid of the von Rahms. And the fact that they are mother and daughter. (Lots of drama went down with this, but, no worries, there was no scandal with the Leutz nobles.) Either way, Winifred von Rahm- who is Merina Taliesin's only daughter- despises her mother as she's a heretical mage that gave her away. Meanwhile, Merina just wants to right things, though it'll never happen. Faelyn Irythl and Skylar are similar to each other. Fae is a quiet and curious Yanar who is an absolute pacifist. Sky is a vampire Slizzar that dabbled in poisons and the underworld. I think Sky would turn Fae into his slave tbh. And Fae would just submit to him. Eventually I'd imagine that Sky would just use Fae as a blood servant or test subject. Auguste would toss Walthur money thinking he's poor. Walthur would then say thanks as he put another coin in his pocket as he whistles about making a free Regal.